Sometimes our favorite cats and dogs are traumatized by visits to the vet. From the stress of the initial car ride, then the anxiety and exposure to other animals in the waiting room, to handling during the physical exam, our pets develop a strong fear of visiting a veterinary office. Even when the doctors and staff are compassionate and caring, our pets can still experience severe anxiety and stress. The expert doctors at Breckinridge Park Animal Hospital want all of their patients and owners to have a positive experience during exams, and leave feeling calm and cared for. That’s where Fear Free comes in! What Is Fear Free Certification and What Is Achieved Through this Certification? Founded by Dr. Marty Becker, Fear Free provides veterinary professionals with education and tools to provide a safe, caring experience that caters to both the animal’s physical and emotional well-being. The exam is adjusted to the pet and its needs, instead of the pet needing to endure the exam. Healthcare is improved since diagnostics are easier to get from a calm patient. Additionally, owners are given advice on how to reduce stress before the visit, so your cat or dog will feel secure during their entire exam, from transportation to check out. You don’t have to skip visits! Many owners, especially cat owners, will avoid annual exams so that their cat does not experience anxiety. However, these exams are important for the overall health of your pet. With Fear Free, since you and your cat will be calmer, you can keep those annual appointments. While many of us talk to our animals this way, it does not help in stressful situations. Calm music is a better strategy. You can reward your pet with treats when you get to the veterinary office. However, check with your veterinarian first as some bloodwork requires fasting. Plan a trip that doesn’t include an exam, so that your dog or cat will become familiar with the office, and not only associate it with exams. If your dog or cat gets anxious in the waiting room around other animals, wait outside until your veterinarian is ready to see you. Introduce your cat to the carrier a few days before the appointment. Leave it out with toys, treats, and maybe add a spritz of feline pheromone spray. Let them know any specifics about your pet that could be helpful, such as a place they really dislike—or really like—to have touched. Slip Free Surfaces replace a cold, metal table. Blankets, rubber mats, and even the floor are utilized to keep your pet comfortable. 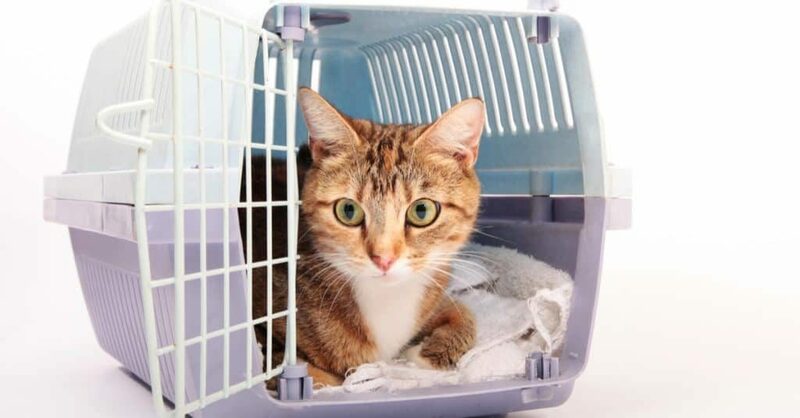 Staying in the Carrier and/or finding comfortable areas for the pet if it helps your pet feel safe. The veterinarian or vet tech may be upside down on the floor, but your pet will feel less stress during the exam. Fewer overwhelming smells, and more calming smells. Smoke, strong perfumes, and other heavy scents are replaced with products that mimic animal pheromones. Calm music to help neutralize the noises of doing business, such as closing doors and barking. Treats are used to help calm and distract your pet from the exam. Taking any additional steps to make the exam a positive experience for the pet and pet owner. These may include covering the pet’s eyes, going into a different room, or even stopping the exam if the dog or cat is experiencing too much anxiety. A Fear Free Certified staff will be able to anticipate and read reactions and make a decision that is in the best interest of your beloved pet. Deeper understanding of stress in cats. Stress is especially heightened for cats. Cats are homebodies and will be anxious about leaving their home, especially when intermingled with unfamiliar smells, sounds and people. The sensations can be overwhelming and the stress can last for hours. 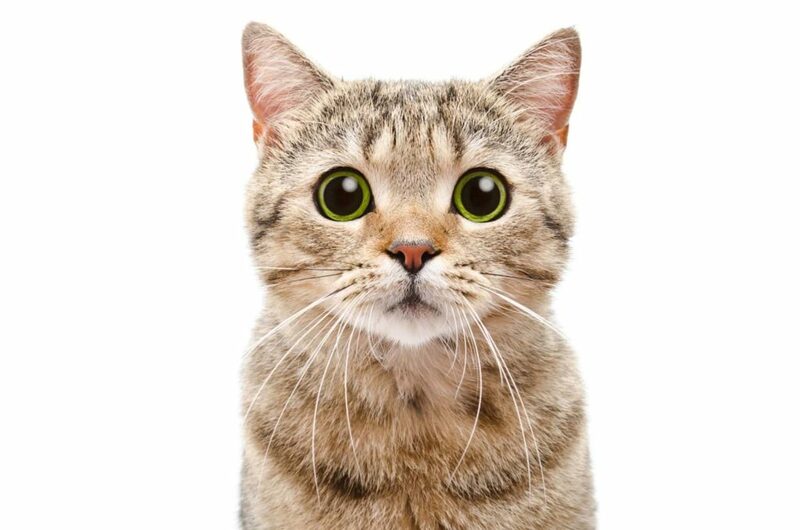 Cat friendly practices will help make a less stressful, more productive exam for all parties. Breckinridge Park Animal Hospital is thrilled to have two of our caring professionals obtain the Fear Free Certification; Dr. Cinthia Peeples and veterinary technician Emily Hatcher. Dr. Peeples and Emily help our staff learn Fear Free techniques to give your furry family members exceptional health care with your pet’s physical and emotional comfort in mind. Call the office at 972-690-6900 to make an appointment today with one of the top-rated Richardson veterinary hospitals. For appointments please request 3 date/time options, in priority order of your preference, in case not all are available. Breckinridge Park Animal Hospital serves the northeast Dallas suburban area. 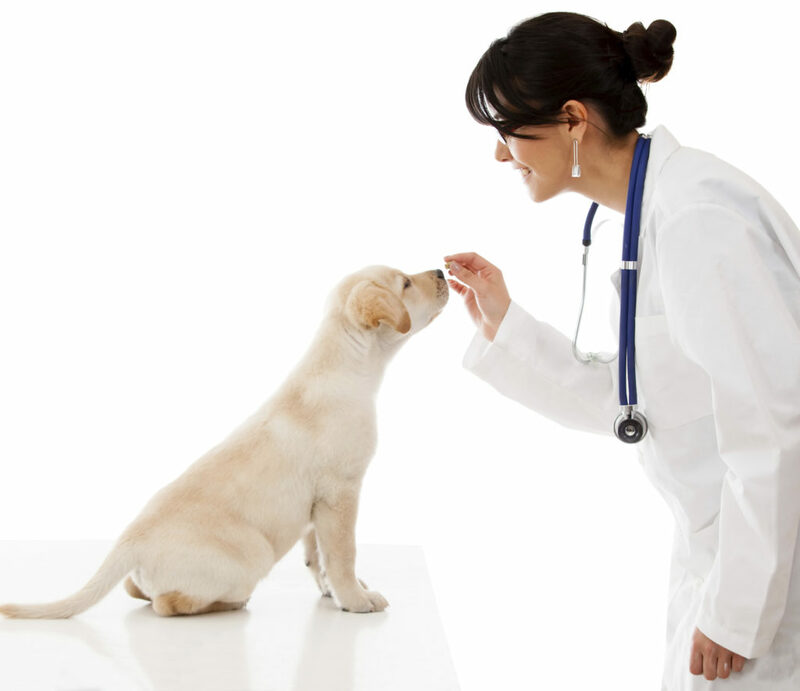 We provide the community with some of the best veterinarians in Richardson, Garland, Plano, Murphy, Wylie and Mesquite.